Welcome to Bellyful Catering Co.! We offer full service catering and custom event planning to all of Portland and its surrounding areas. 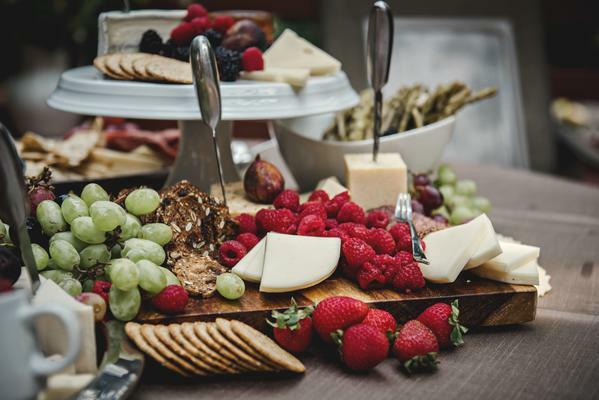 Bellyful Catering (previously Divine Occasions Catering- Same Company/Owners & Service, just a new name) can help meet all your event needs by matching your taste and your style with our fresh ingredients and beautiful displays. We are here to provide you with a unique and personal touch to every event in your life! We cater everything from elegant weddings to casual birthdays, boxed lunches and corporate meetings to private dinners! We have an experienced and professional staff that will put you completely at ease as you plan and order for your guests. From little details to coordinating rentals we can help you create the perfect atmosphere with our truly special attention to your event. Browse through our menus and our pictures and either email or call us today so we can help you!